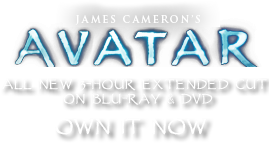 Banshee Queue Harness | Pandorapedia: The Official Guide to Pandora | Own AVATAR on Blu-ray & DVD Now! All Na'vi must construct a personalized harness for their banshee after they have bonded. The harness is used to keep the bonding queues in a rearward direction for quick and easy access. The banshee antenna is interlaced with the Na'vi queue, which sheathes the Na'vi antenna, to form a neural bond. The Na'vi and banshee are then able to fly in perfect coordination. The harness is called “Eywa te' (personal name) tan'sey mak'ta. This translates roughly as “the love of Eywa's embrace is gifted to (the rider's name)” This is an acknowledgment of the beauty of connecting with the consciousness of another living creature such as banshee or dire horse. Function Bridle system to hold Na'vi queue and banshee antenna out of way of rider and weapons. Materials and Construction Tightly woven tensile fibers, plant sinew and leather constructed over a period of months.